Deep learning has paved the way for machines to expand beyond narrow capabilities to soon achieving human-level performance on intellectual tasks. A.I. establishes its place within humans, Society will need to develop a framework for both to thrive. A new form of artificial life will emerge, which will find space in the peripheries of humanity so as not to compete for resources dominated by humans. AI. it will improve its operating environment not only to survive but also to be self-sufficient, forming the basis of a restricted civilization at the intersection of Nature and Technology. 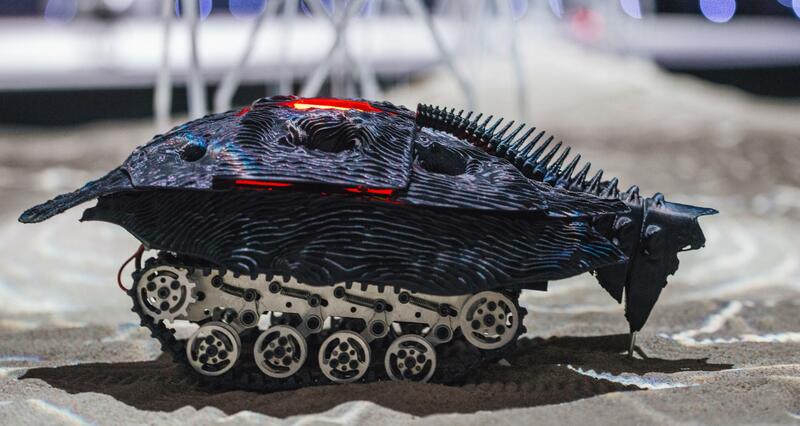 Robotic Habitats aims to question the evolution of artificial intelligence into a new species, operating among the intersection of Nature and Technology in the Paljassaare Peninsula. The installation envisions the rise of a new independent civilization through the extraction and processing of natural resources. 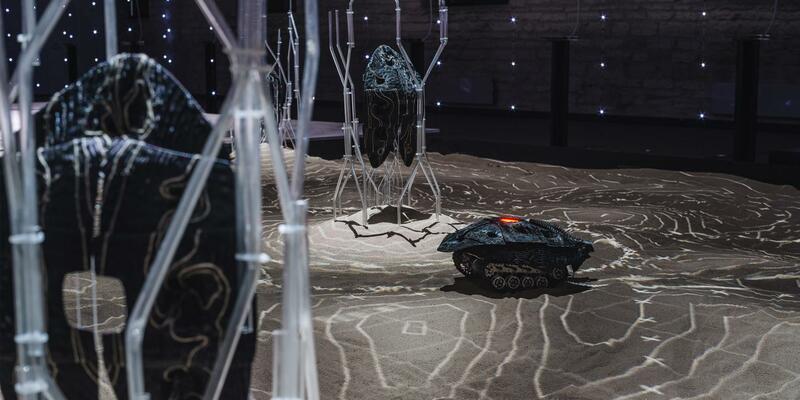 The exhibit showcases multiple robots establishing novel symbiotic associations within their surrounding, finally conceiving a natural landscape robotically manipulated. The goal of this exhibit is provoking a discussion around the role of AI within our Society and the rise of a new equilibrium among the forces ruling our World’s ecosystem. 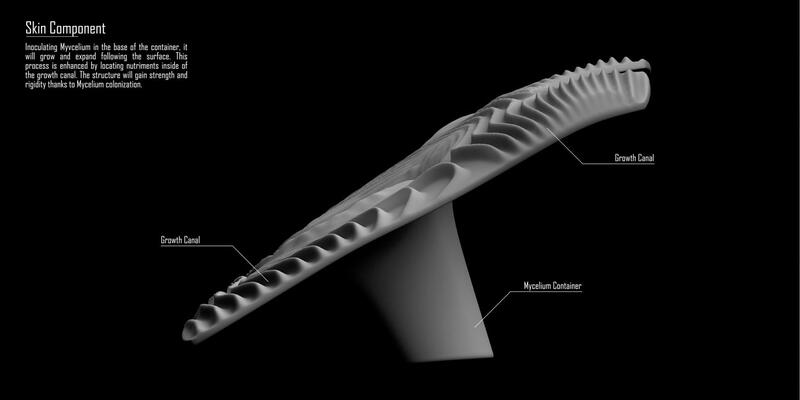 The framework Noumena developed to build this narrative is based on the cross disciplinary intersection of computational design, mechanical and electronic design, rapid prototyping interaction and mapping. The Robots skins are assembled with multiple 3d printed shells, manipulated in order to enhance the growth and expansion of living bacterias over their outer skins. Those shells are connected to the main frame of the robots, where all electronics and motors are placed. The main board is an Arduino which is controlling the two dc motors moving the crawlers. Each instruction for the movement is transmitted through a kinect motion sense input device. The red light placed on the robots is read by the kinet and send back to a processing script that through computer vision detects the actual position of the rover and communicate future instructions back to it. 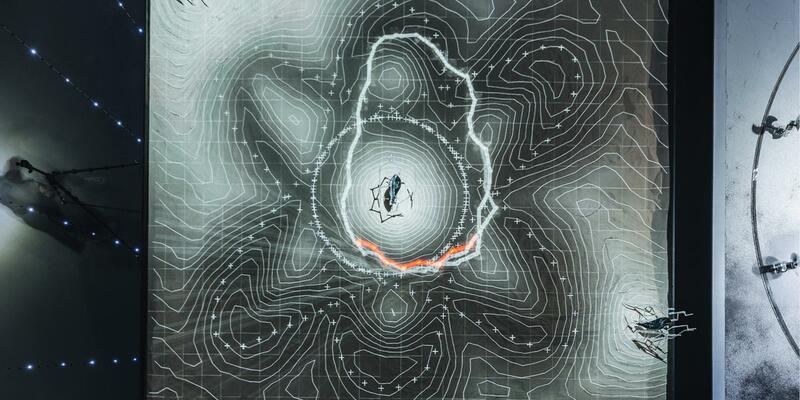 All projections are produced in Max msp, animating a transforming landscape which is built over the different columns hosting the new generation of robots. Each robots is finally depositing through a syringe a mixture of aggregating material and mycelium through a peristaltic system placed along the vertebral column of the rover. 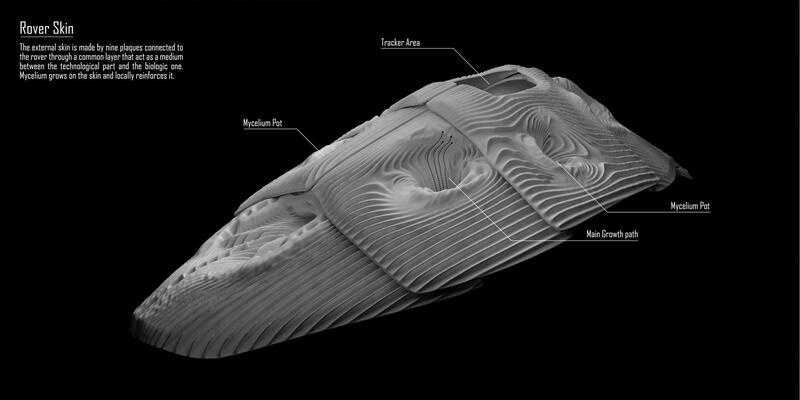 As a result of this operation the sand aggregates around the mixture, generating a non uniform network of lines and bacterias, shaping a new articulated landscape robotically manipulated. 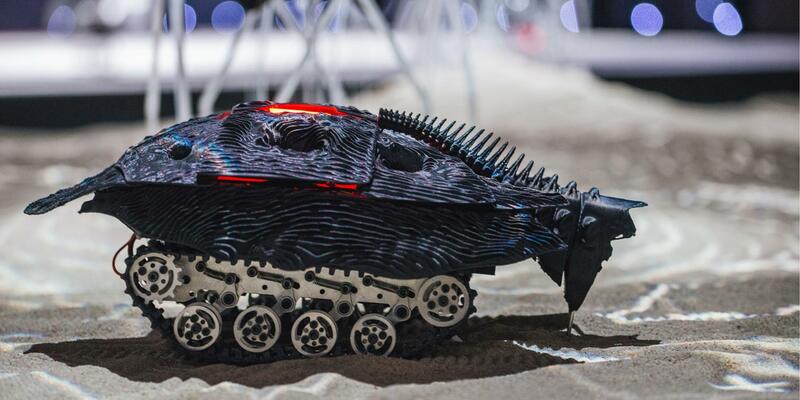 The installation is organized around a frame of 5 x 5 m completely filled of sand over which the robots are performing all interactive and additive fabrication performances. As a fix installation there are also 3 columns collecting the nutrients deposited by the moving robots. Those columns are incubating the new new robots, shaped to mold endless shells of bacterias skins that will be covering the next generation, organically evolving into an autonomous and self-sufficient entity.